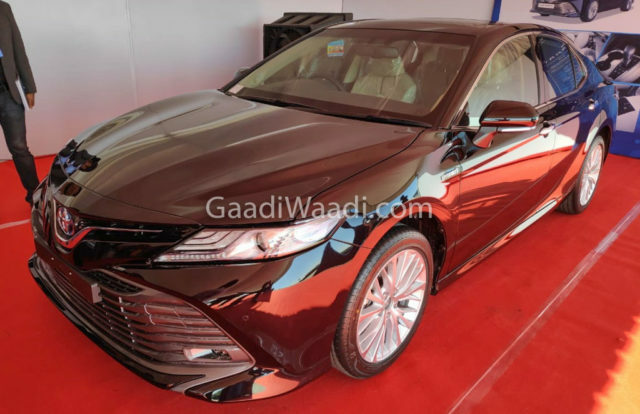 Toyota Kirloskar Motor has officially confirmed the launch of the new generation Camry in the Indian market on January 18. Ahead of its debut in New Delhi, pre-bookings have opened across dealerships. The 2019 Camry has evolutionary exterior changes compared to the outgoing model. 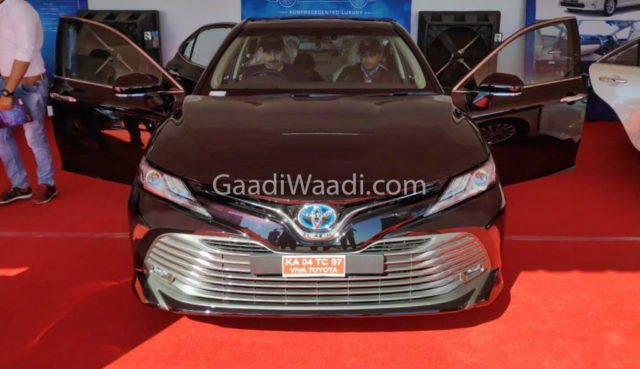 It has an imposing front fascia with a prominent grille assembly with distinguishable upper and lower section, sleeker LED headlamps with Daytime Running Lights, wider air dam with horizontal louvres and aggressive character lines summing up what Toyota calls as Keen Look styling philosophy. Courtesy of the presence of the new TNGA-K architecture, the 2019 Camry has bigger proportions allowing for more interior space. Moreover, Toyota engineers have concentrated on making the premium sedan more efficient as well as significantly improving the ride and handling characteristics. It has reduced kerb weight due to the lighter platform and sits lower to the ground than before allowing for optimal centre of gravity. The all-new Camry plenty in common with the Lexus ES 300 h that was introduced in India last year and it rides on newly designed 17-inch wheels. It must be said that the rear profile is not as enthusiastic as the front, as not too many updates have been made. The Japanese auto major has updated the interior with more modern features and technologies pertaining to safety and driver assistance. The driver-centric cabin comes equipped with a large eight-inch touchscreen infotainment system with intuitive functions. 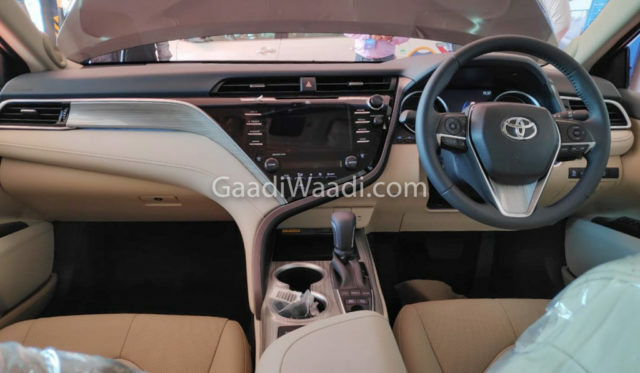 It also gets automatic climate control, wireless Qi charging, 10-inch HUD, 9-speaker JBL Dolby audio system, dual USB charging ports, rear armrest with a capacitive touchscreen, etc. 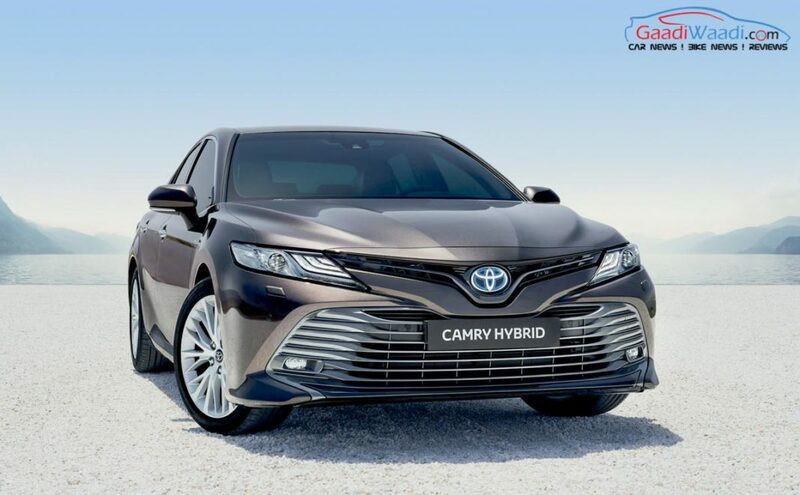 The colour options in which the new Camry will be sold are Burning Black, Silver, Phantom Brown, Attitude Black, Graphite, Pearl White Premium and Red Mica. As for the powertrain, the 2.5-litre four-cylinder petrol engine is coupled with a hybrid system as before but with increased performance. It generates 176 hp and 221 Nm while the 88 kW electric motor helps in achieving a combined power output of 208 hp. Toyota says it is more environmental friendly with lesser emissions and has become more frugal with claimed economy of 23.27 kmpl. The new Camry competes against Honda Accord, Skoda Superb and VW Passat.